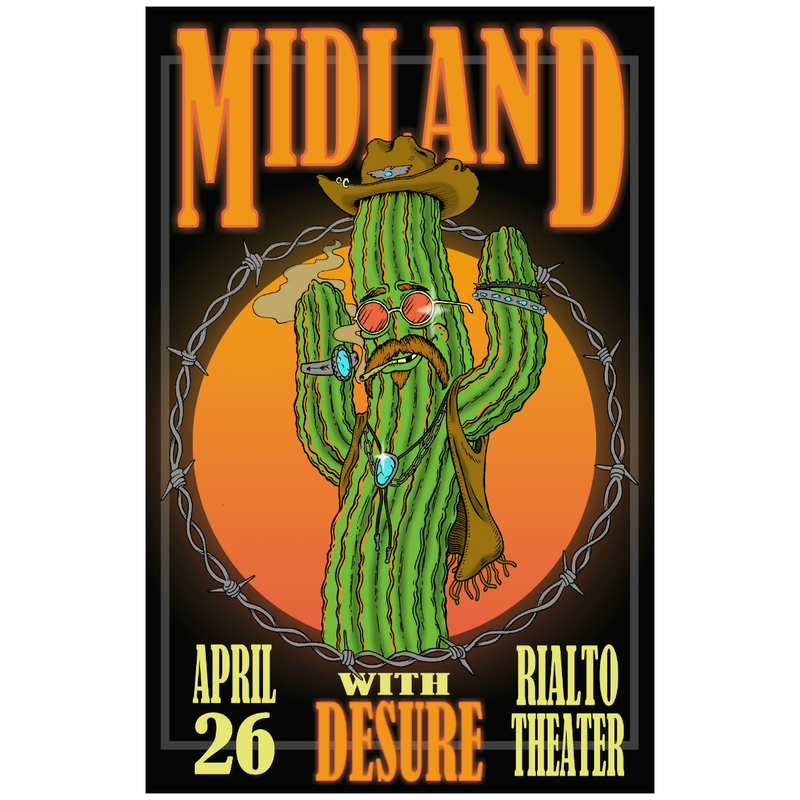 Numbered lithograph with with dancing cactus graphic from April 26th, 2018 Rialto Theater show featuring Desure. Please allow two weeks for processing this item. This litho was a really exciting surprise! It's very high quality, printed on good, heavy-duty stock with great bold colors &amp; graphics. 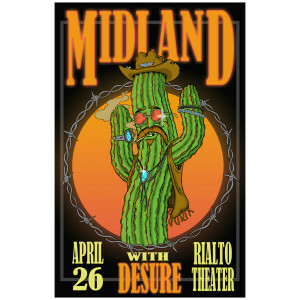 And, it portrays the Rialto Theater right here in my home town - what could be better? Would recommend this product to all.